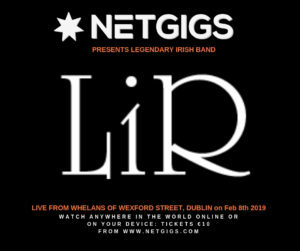 NETGIGS are proud to present Legendary Irish Band Lir live at Whelan’s of Wexford St, Dublin on Feb 8th. The show can be streamed from anywhere in the world in real-time on any internet device for just €10. NETGIGS is a new online streaming platform that connects bands & live performers to their fans & audiences worldwide, in high definition video & audio quality on any internet connected device. 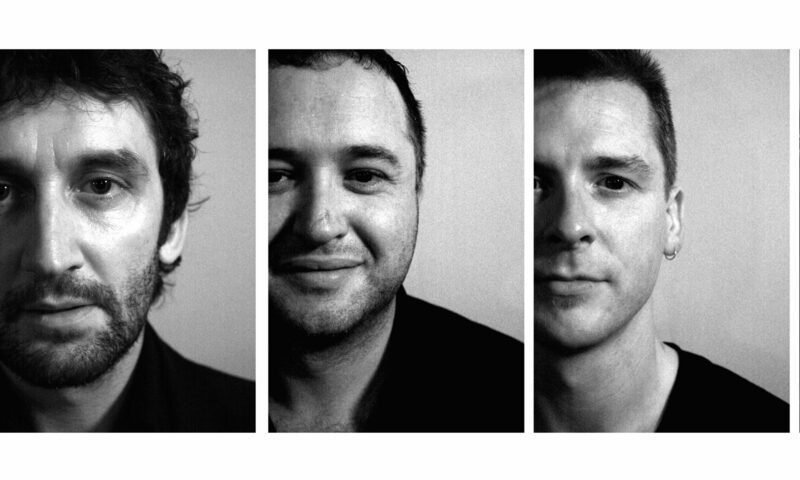 The band will perform their first album in its entirety (for the first time). Ex member David Hopkins will be flying in from the States especially for the performance. 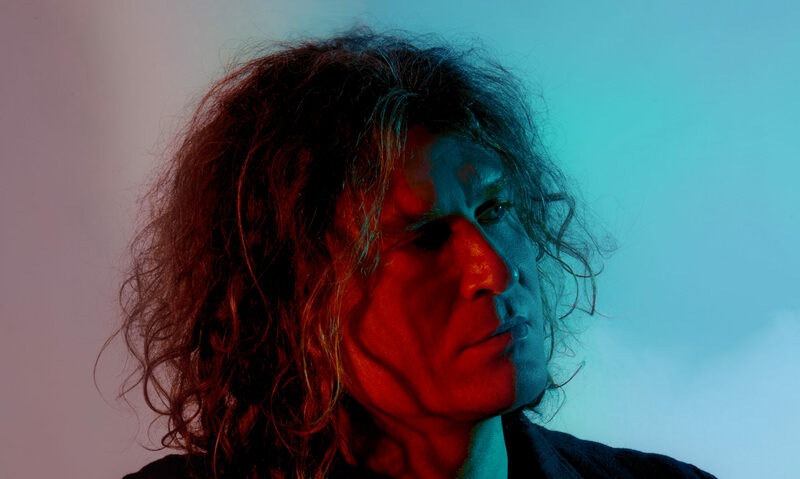 Special guest on the night will be Ken Rice, who played violin on the album tracks. LIR‘s reputation as a legendary live act was built through concerts – in the capital particularly – that became unmissable for many. 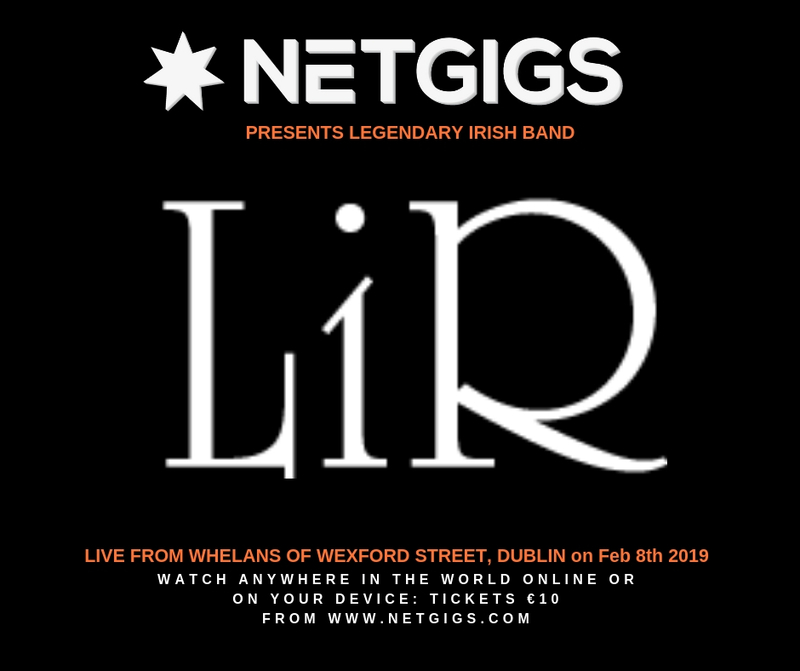 In celebration of where it all began, they perform their debut in full, for their fans in Whelan’s this February, as well as fans worldwide who can tune in live on NETGIGS. To attend the show concert tickets available via lirband.com and Whelanslive.com. Next PostNext ‘Done Up’ The brand new single from Daytona Rose just announced.